Jodhpur:- Rana's 19th Deep Festival was celebrated in Hotel Hillton, New York, in Long Island, where more than 700 immigrant Rajasthanis attended. 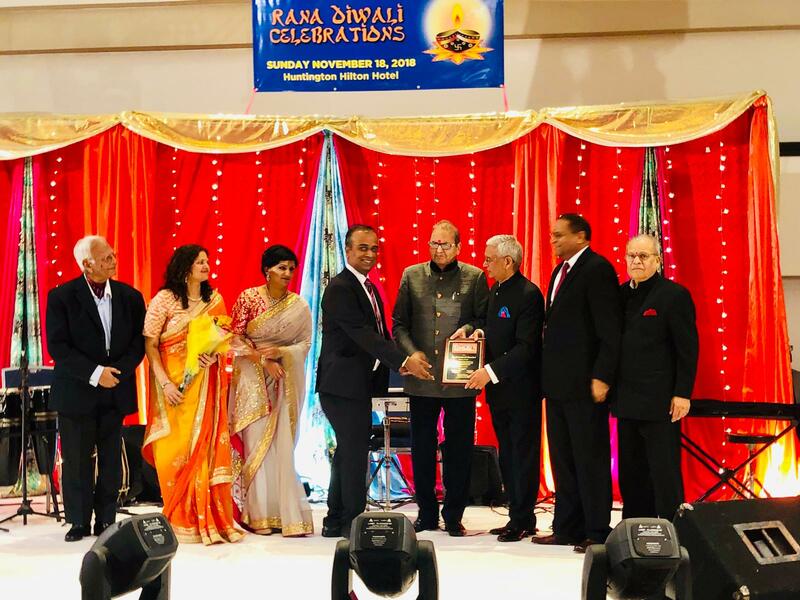 RANA President Dr. Shashi Shah and Deep Festival Committee Chairman Haridas said that Prem Bhandari, Chairman of Jaipur Foot USA, Dr. Smita Lodha, Renu Jain and Manisha Jalani were honored for their outstanding achievements. On behalf of Prem Bhandari Jaipur foot USA presented 5 min video about his social work in last two decades depicting safe return of more then three thousand Indians from middle east countries in last 10 years and also depicted about other social works. The Guest of honour of the ceremony was Padma Vibhushan P. Jasraj, Deputy Consul General of India New York, Shatrughan Sinha and Congresswomen Gracemeng and Chintu Patel. On this occasion, besides the Rajasthani musical evening, Rajasthani food was also served and at the end of ceremony thanks was given by RANA secretary Rajeev Pandya.